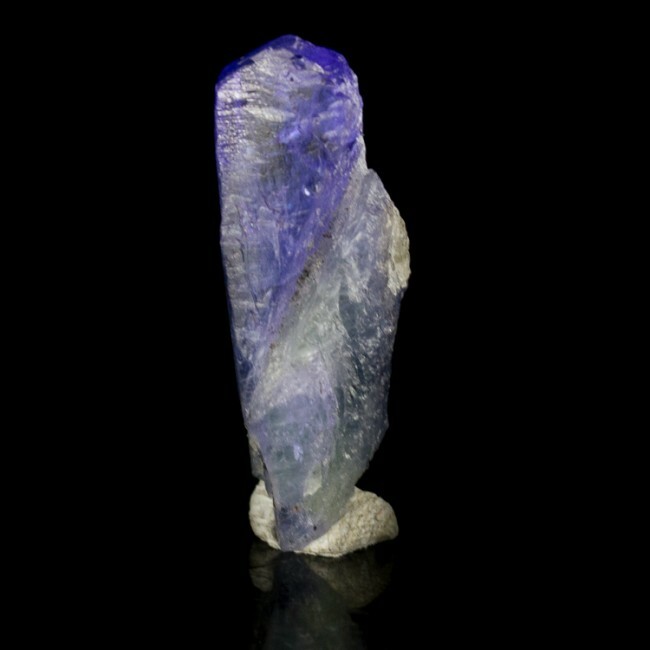 Size 1.1" x 0.4" x 0.4"
This is a brightly lustrous gem quality tanzanite crystal in a luminous shade of cornflower blue. 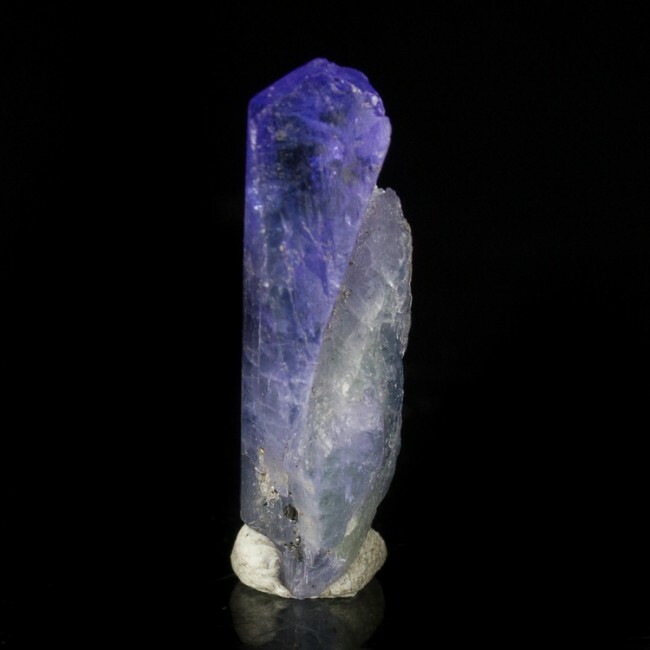 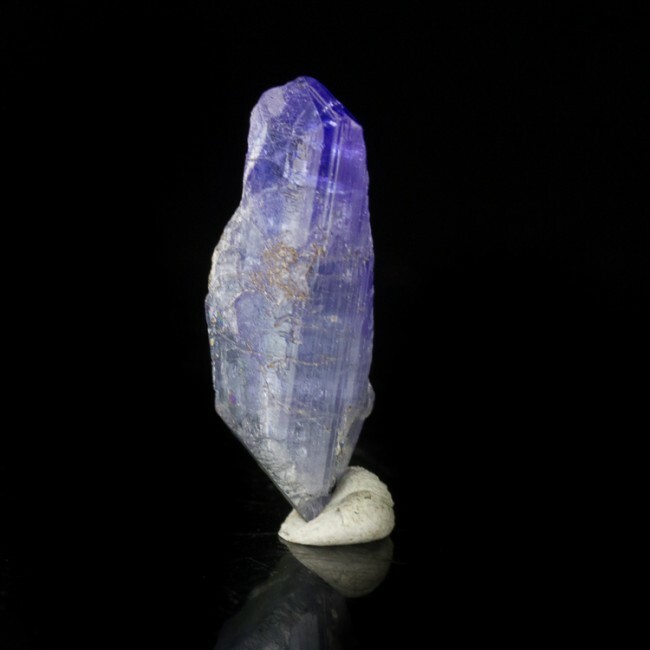 Viewed from the side, the color changes to blue violet because the crystal is pleochroic. 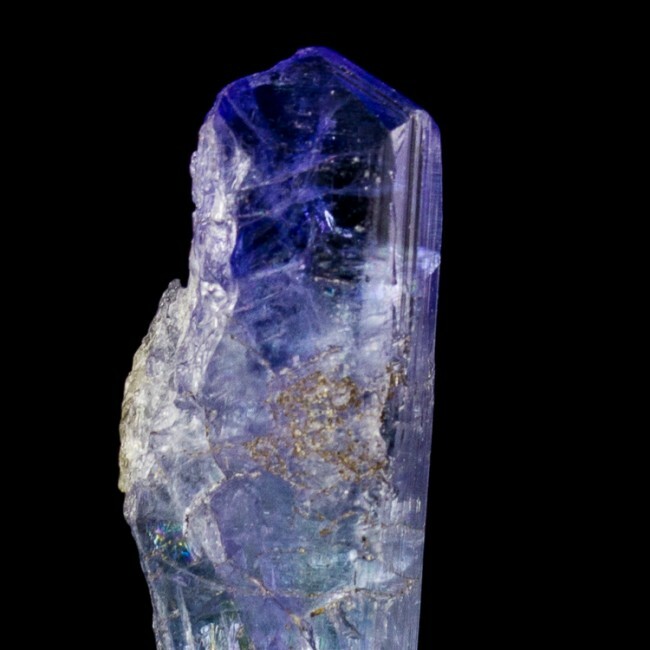 There is no damage to the see-through termination, which is pristine. 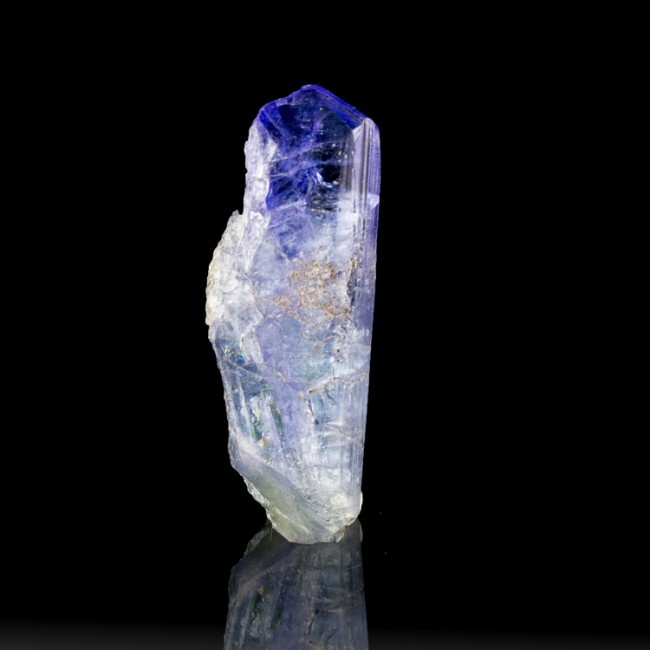 This is a naturally blue crystal, and it has not been heat treated. 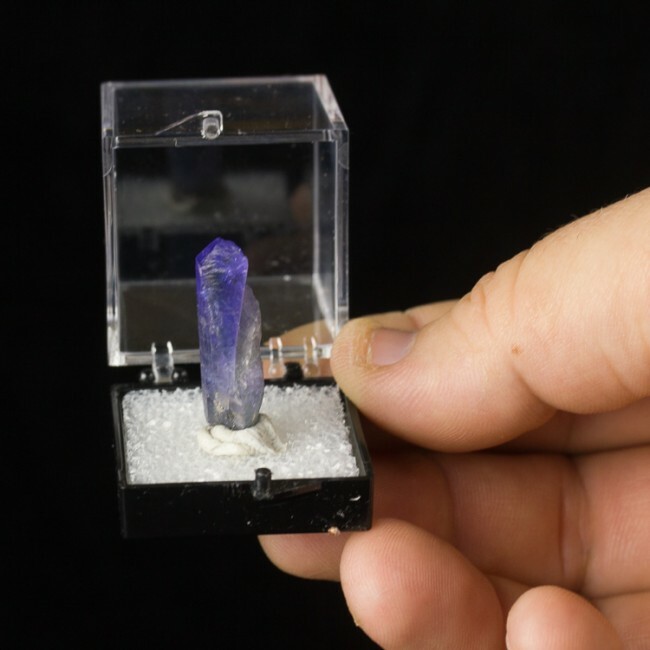 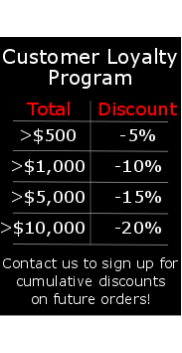 It is a fine collection-quality example of this highly desirable gem species.